Susan Arnold Elston Wallace was the third daughter born of Issac C.and Marie E. Aiken Elston and was born in Crawfordsville, Indiana on December 25, 1830. She received an education in Crawfordsville and graduated from the Quaker School for Girls in Poughkeepsie, New York. Ms. Elston married her husband Lewis Wallace, who would later be known for his service as a General in the Union Army in 1852. They had one child, Henry Lane Wallace. As one biographer noted, “She would be satisfied with this brief summary of her life, for she was content to remain in the shadows of her husband’s colorful career,” (Sullivan, 419). Despite this over-generalization she did achieve publication before her husband with her poem “The Patter of Little Feet,” which appeared in over 30 journals. She also published six books whose titles include: The Storied Sea (1883), The Old Oak Chest, A Christmas Story (1887), The Land of the Pueblos (1888), The Response in Egypt (1888), Along the Bosphorus and Other Sketches (1898), The City of the King; What the Child Jesus Saw and Heard (1903). The themes of her writings often pertained to Christianity, family, friends and travel. “Wallace, Susan E. (Susan Elston) 1830-1907.” Wallace, Susan E. 1830-1907 (Susan Elston) [WorldCat Identities]. Worldcat Identities, 2010. Web. 27 Nov. 2012. <http://www.worldcat.org/identities/lccn-n91-107907>. “Susan Wallace.” Web log post. Civil War Women Blog. Blogger, 28 Nov. 2011. Web. 27 Nov. 2012. 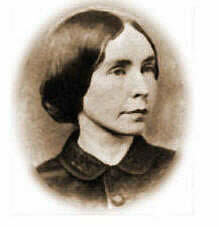 <http://www.civilwarwomenblog.com/2011/11/susan-wallace.html>. Sullivan, Thelma. “Susan Arnold Elston Wallace.” Biographical Studies of Seven Authors of Crawfordsville, Indiana. By Dorothy Russo. N.p. : Indiana Historical Society, 1952. 417-20. Open Library. Web. 27 Nov. 2012 <http://http://www.archive.org/stream/bibliographicals00russ#page/418/mode/ 2up>. Wallace, Lew. Lew Wallace; an Autobiography. Vol. I. New York: Harper & Brothers, 1906. Print. Wallace, Lew. Lew Wallace; an Autobiography. Vol. II. New York: Harper & Brothers, 1906. Print. This site is powered by WordPress and is running the SemPress theme. It was styled by Dan Cox.